Fly Fishing Everglades National Park for Tarpon. Everglades National Park is the Vatican of tarpon fishing in my opinion. Recent satellite tagging science indicates that most tarpon visit the park at some time during the year. The story gets complicated from there since water temps, tides, bait movements, water color and seasons all affect the visit. Predicting a good fishing time seems to involve smoke and mirrors and require a crystal ball. In the end, an outboard motor must be used to check to see if/where the tarpon are. However, my trusty fishing diary, that I have kept since 1994, helps level the playing field. Known as “outback”, this area is a maze of mangroves with brown tannin stained water. 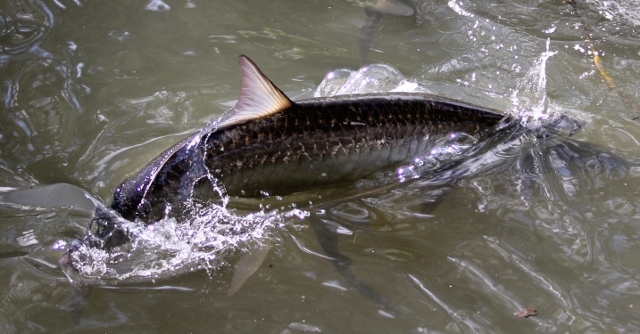 When they show, tarpon can be “laid-up” or “rolling”. Water temps are most important here. You won’t see the bait they are eating, it’s part of the mystery. Actually no one really knows why they show here they just do. I have some pretty good theories about why they are here and have discovered some by sleeping on my boat far out in the backcountry and observing nature. Flies: 2-3/0 hooks chemically sharpened, dark flies rule here. Black and purple are the standard. Bunny tail/marabou and polar fiber all work. The mood of the fish is most important. Leaders: 60-80lb shock tippet is best with 20lb class tippet. Florida Bay is a series of basins, flats and channels that lie just off Florida's mainland. The water is clear to muddy green. This is the last stop for tarpon before they head for the Keys from the Gulf of Mexico and is a pit stop throughout the year to feast on shrimp, pinfish and mullet. At certain tides and times of the year they will flood the flats with tails, fins and eyeballs showing. It’s the crème de la crème of tarpon fishing experienced by a lucky few. 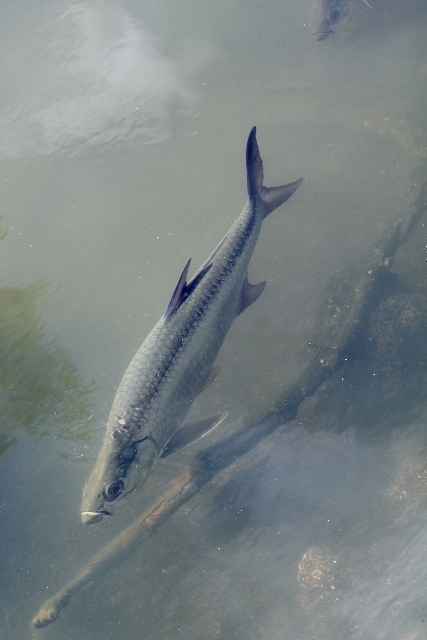 Tarpon can be found cruising the edges of the flats and “laid up” in the basins. It’s one of the finest tarpon fishing places on the planet. It’s complicated, wild and beautiful with birds, turtles, manatees, and salty crocs all thrown into the mix. Most Keys guides fish here since the park extends into their back yard. Flies: 1/0 to 2/0 hooks. Keys splayed type flies all colors, bunny’s and everything in between. Brown is a great color. These fish eat flies better than any fish in Florida bar none. Rods: 9wt, 10wt and 12wt depending on conditions. To read about Tarpon on Fly in the Florida Keys click here. 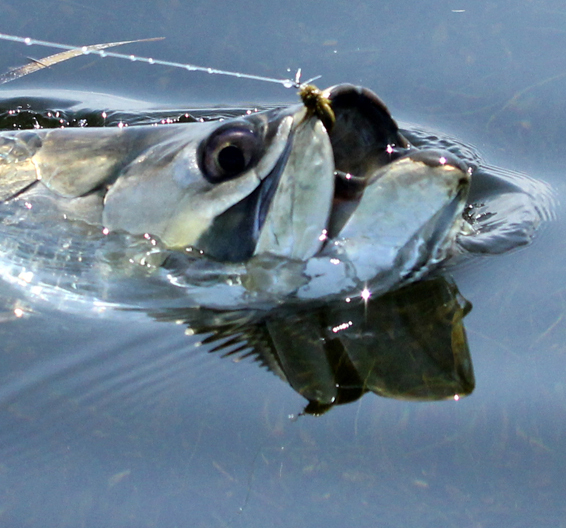 To read about Tarpon on Fly in Miami, click here.